With many thanks to our supporters: Sarau Trust, our contractors (Hockley Brothers, Chambers & Jackett, Taylors Contracting), Tasman District Council, Moutere Hills Community Centre, Country Kids, and our helpful adjacent landowners for access and storage space. 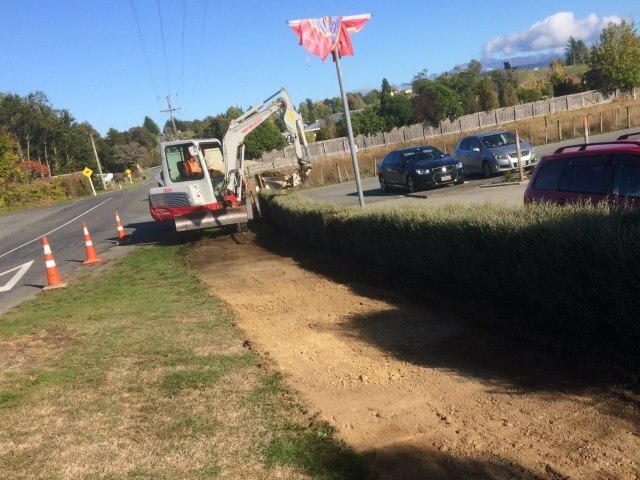 We Are Building a Footpath! 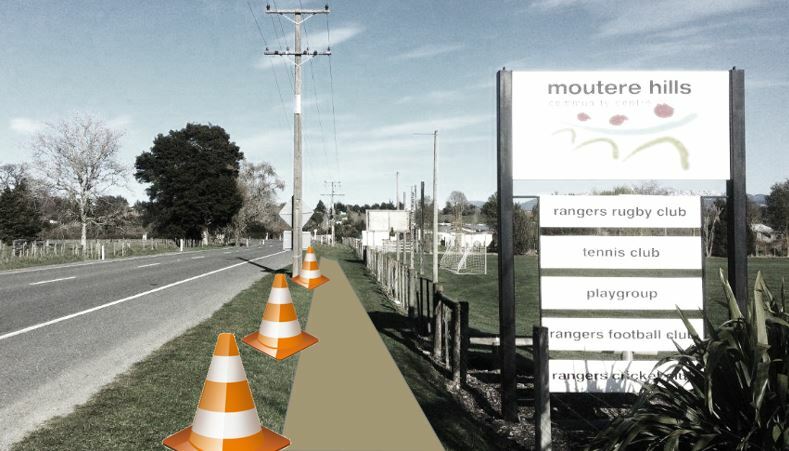 The Moutere Hills Residents Association will be constructing a section of public footpath alongside the Moutere Highway between the Moutere Hills Community Centre and Country Kids preschool. Work will be carried out in the road reserve between April 17 and April 19. Temporary traffic management will be in place. The road shoulder in this area will be closed during this time and pedestrian access along the road side may be blocked. Normal access to the main entrances of the Community Centre and Country Kids will not be affected. Please stay clear of the construction site at all times, and please inform others to do the same. Apologies for any inconvenience this might cause. This project is entirely community-funded, and made possible with donations from the Sarau Trust! 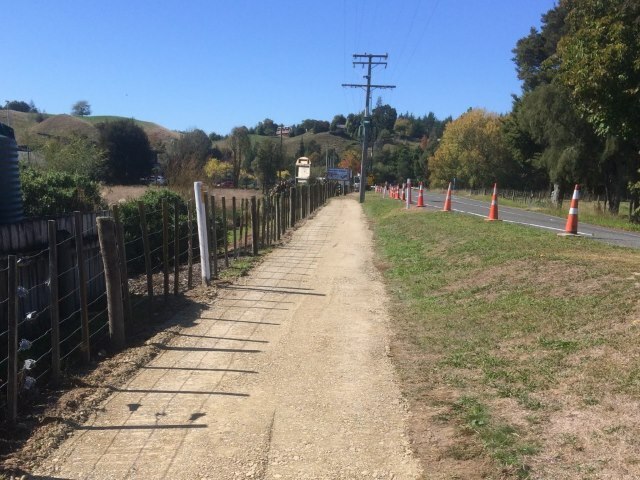 Upper Moutere Footpaths - New Link to Sunrise Valley Road? 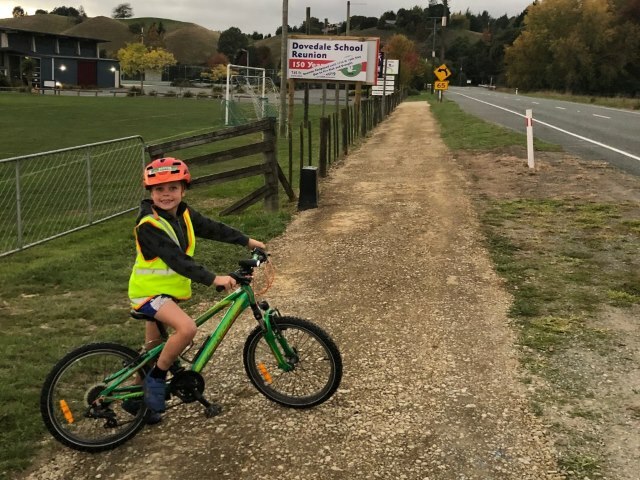 Another project which is among the ten highest ranking footpath proposals in the district is a new sealed footpath from the end of Supplejack Valley Road in the centre of Upper Moutere village to connect to the start of Sunrise Valley Road, about 400m away along the western side of the Moutere Highway. Following the survey link below, please have your say on this particular footpath link. We will collect all community feedback and forward to TDC. 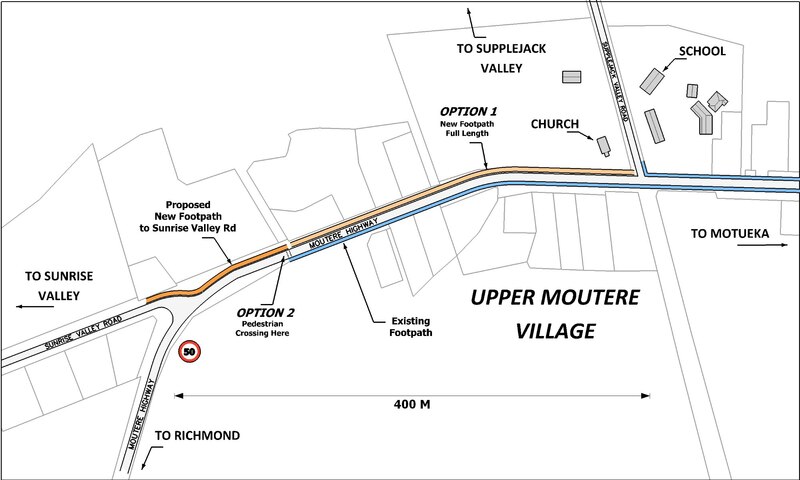 Click here to see the map of the proposed footpath link.